The Easy Way Out is a poignant, moving novel about a legal suicide assistant named Evan who is tasked with handing out cups of Nembutal to patients wishing to end their life. Steven Amsterdam has crafted a novel that fictionalises euthanasia and forces readers to ask questions that prove quite difficult to answer: if you could help someone in pain, would you? Would you help someone end their life? 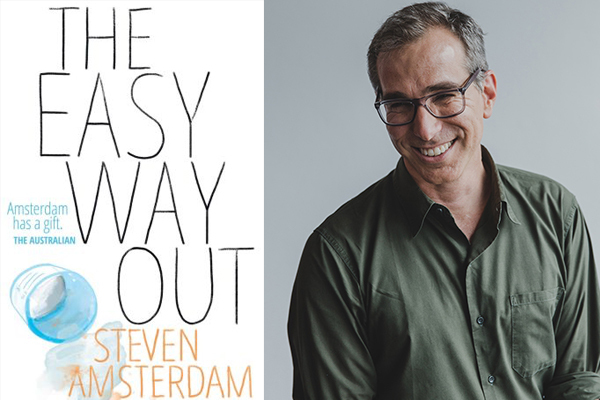 Steven’s latest novel explores a world where euthanasia is accessible for those who have need for it, thanks to the development of ‘Measure 961’. Evan’s job is legal, but he keeps it a secret from his friends. He is closely monitored by hospital authorities. His actions are filmed, and when he hands his patients the cup of Nembutal, there can be no hint of coercion and no evidence of emotion in his face. He is not allowed to intervene in the process. But over the course of the novel, it becomes clear that emotional detachment is impossible when you’re in this line of work. Evan seems in over his head, and he struggles to hide his compassion and care for the people he meets. Sometimes, Evan is the last person to be with them before their life is ended. Evan questions his own morality and the intentions of those closest to him, and he realises that the path he’s on might not be what he wants. Evan is someone who keeps secrets. His friends don’t know about his job, and he keeps his personal life private from his ageing mother Viv, who suffers from Parkinson’s disease. As Evan’s mother is coming closer and closer to the end of her life, Evan’s home life starts to parallel his work. He starts to consider the cost of his role, and whether he’s really happy with his role at the hospital. The Easy Way Out is a multi-layered novel centred around Evan’s role as a suicide assistant, but it is also centred around his relationship with his mother. Steven Amsterdam’s characters are compelling, brilliantly-developed and realistic. Evan is in a relationship with Lon and his partner Simon, but he keeps this private from his mother. And his relationship with his mother is frayed and strained. 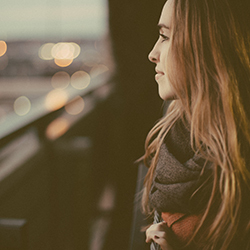 At times the story felt slow, with not enough plot happening to propel the reader forward. I found my reading pace slowing, waiting for some kind of focused direction. This was a reflective novel that is designed to encourage discussion and questions, but at times it did seem to lag and tire the reader. The Easy Way Out is a thought-provoking novel that readers have to be mentally prepared to tackle. Steven has crafted an enjoyable read that I’d definitely recommend to others.